Samsung today confirmed that the Samsung Galaxy Tab will go on sale across Australia from “week commencing 8th November”. Curious wording, which seems to indicate a rollout of stock, rather than instant stock availability everywhere. 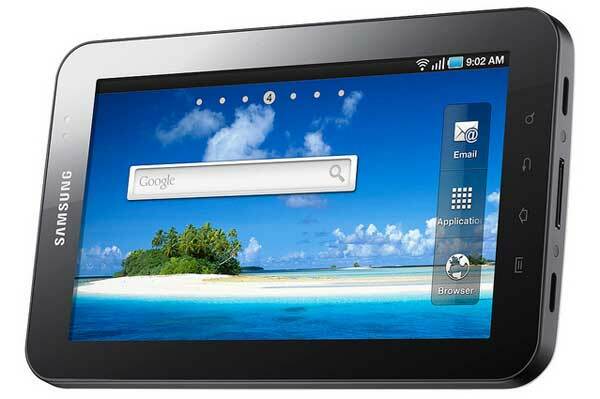 The Galaxy Tab will be sold at major retailers, as well as major mobile carriers on cap plans. … of Australians intending to purchase a tablet device, 64% of them intend to use it for navigation and e-reading applications, 73% for consuming news and 74% for gaming. Sold separately will be a car kit to enable legal use of the Galaxy Tab for in-car navigations. The one bad bit of news released today is that the price is still $999 RRP. To read all of the Techstyles stories about this device, visit the Samsung Galaxy Tab tagged stories page. Previous ArticlePersonal Soundtrack Shirt – awesome entrances and exits!